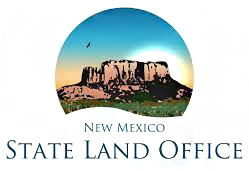 Royalty rates for the most productive oil and natural gas wells on state trust land would increase under a measure introduced in the New Mexico Legislature. State Land Commissioner Stephanie Garcia Richard and other supporters have pointed to the current budget surplus that has been fueled largely by revenues from the energy sector. They say additional money from oil and gas drilling on state lands would help to fund public education reforms. “When oil and gas companies are making more and more money every year, our kids, teachers, and public schools should benefit from that as well,” said Garcia Richard, a Democrat who took office at the beginning of the year. Under the legislation, the royalty cap would be increased to a high of 25 percent on future leases. 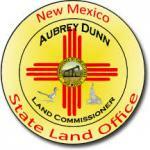 The State Land Office currently can charge up to 20 percent in some areas. The measure introduced Tuesday also calls for energy companies to pay royalties on gas released through venting or flaring processes. The industry has argued that venting and flaring is sometimes unavoidable given limits on pipeline capacity and other factors. But state regulators under new Democratic leadership in Santa Fe are expected to begin cracking down on emissions in oil and gas country. Industry experts say the legislation could end up pushing more development to federal lands by making state trust lands less attractive. Garcia Richard argued that it’s time to revisit the royalty rate because it hasn’t been touched since the 1970s. The oil boom in southeastern New Mexico has shown no signs of slowing down. A recent study by the U.S. Geological Survey suggests parts of the Permian Basin hold even more potential.